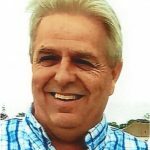 WOOD: It is with great sadness that the family of Richard M. Wood, 57 of Waterford announces his unexpected passing on November 11, 2018. Rick was born on March 8, 1961 in Portage La Prairie, Manitoba, Canada, youngest child of Lawrence and Pearl (Riggs) Wood. He was married to Katherine Johnson on June 28, 1987 in Charlestown, Rhode Island. 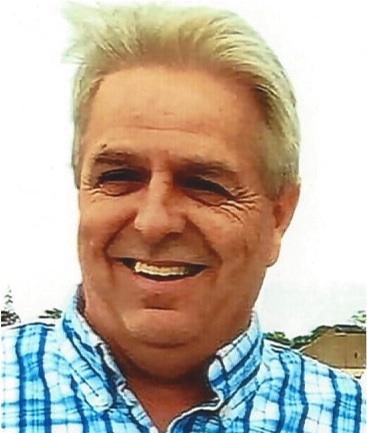 Rick was a resident of Waterford since 2014 and had formerly lived in Colchester. He was a graduate of Strathcona High School in Edmonton, Alberta. He worked for many years as a Mechanical Insulator through Heat & Frost Insulators Local 110 in Edmonton, Alberta and through Heat & Frost Local 33 in Connecticut. He graduated with a Business degree from Three Rivers Community College. He was owner and operator of RW Adjustment Services in Waterford since 2009. He is survived by his loving wife, Kathy, his mother, Pearl, his children, Shannon, Brittany, Brandon, Bridget, his grandchildren, Natalya, Tanner, Owen, his sisters, Rita Montgomery, Sharon (George) Carpenter, Linda (Dennis) Carpenter, Debbie Steencamp, his mother-in-law, Marion S. Johnson, His brother-in-law, Jay Johnson, sister-in-law, Annemarie (Mike) Corcoran and many more family and friends. He is predeceased by his father, Lawrence, brothers, Randy, Gary and sister, Judy. Rick will be remembered for quick wit, good sense of humor and jovial personality. He was a good and loyal friend, always willing to lend a helping hand to anyone who needed it. He always put a smile on everyone’s face, had a joke for any situation, and his laugh was contagious. He loved his dogs, loved living by the water, and enjoyed boating and fishing on Long Island Sound. He was a devoted and loving husband, father, grandfather, and friend. He will be deeply missed. Rick’s philosophy on life echoes Steven Moffat’s words: “When we die, we turn into stories. And every time someone tells one of those stories, it’s like we’re still here, for them. I’ll be a story in your head. But that’s okay. We’re all stories in the end. Just make it a good one, eh?” His family will receive relatives and friends on Friday from 6pm to 8pm at the Impellitteri-Malia Funeral Home, 84 Montauk Ave. New London. A funeral home service will be held on Saturday at 11 am. Interment services will be private. Donations in his memory to; American heart Association, 5 Brookside Dr. Wallingford, CT 06492.